‘Tis the season of online shopping! 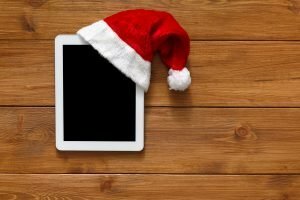 Christmas – as well as being a time of family and getting together, it’s also a time where the world sees a huge surge in buying, selling, ecommerce and retail. 1 in 5 consumers did all of their Christmas shopping online. In 2015, non-food purchases increased by 15%. 27% of retail sales now take place online. 45% of sales take place on a mobile phone. Why single integrated labels at Christmas? If you’re a retailer, Christmas is undoubtedly your busiest time of the year. Using single integrated labels will not only make things easier for your consumer but for you too, saving you time and energy. 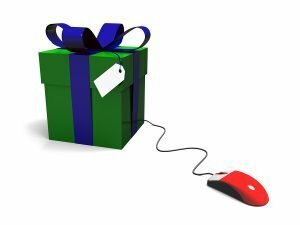 Christmas is also a great platform for your business and a time when people may purchase from sites they may not usually use. This means that you should ensure your returns process is straightforward, as this is your chance to make a good first impression. As integrated labels combine more than one form into one, the need for unnecessary printers is reduced and paper and time are saved. Mix-ups can also be avoided as the relevant labels are all central to the customer’s order, (in one place). Furthermore, in 2015, a record £223 million worth of presents were returned. With this information in mind, it’s never been more important to streamline your delivery and returns process, as if this is difficult for your customers to do, you may put them off from making future orders. If you would like to purchase labels before Christmas, please place your order before midday on 22nd December. If you would like to place an order, please contact us. « How can single integrated labels help my business?